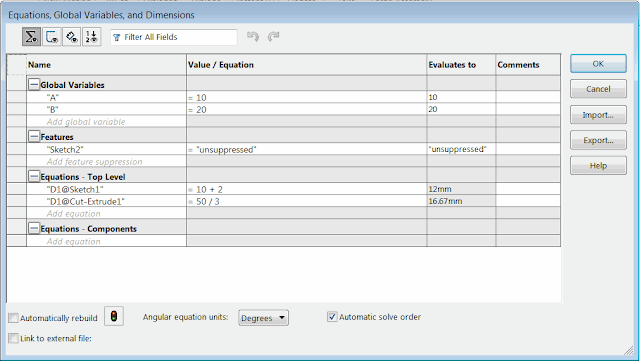 This macro removes all of the equations (or optionally only broken equations) in the active model (part or assembly) using SOLIDWORKS API. If active model is assembly, macro optionally allows to remove all equations from each component of the assembly. The following message will be displayed. Click Yes to remove equations from all components on all levels and No to only process equations of the top level assembly. Set the DELETE_BROKEN_ONLY option to True in order to only remove the broken (dangling) equations.